UFO SIGHTINGS DAILY: Top Secret Aurora Project Blue Triangle Craft Seen In NASA Shuttle Mission Photo! UFO Sighting News. 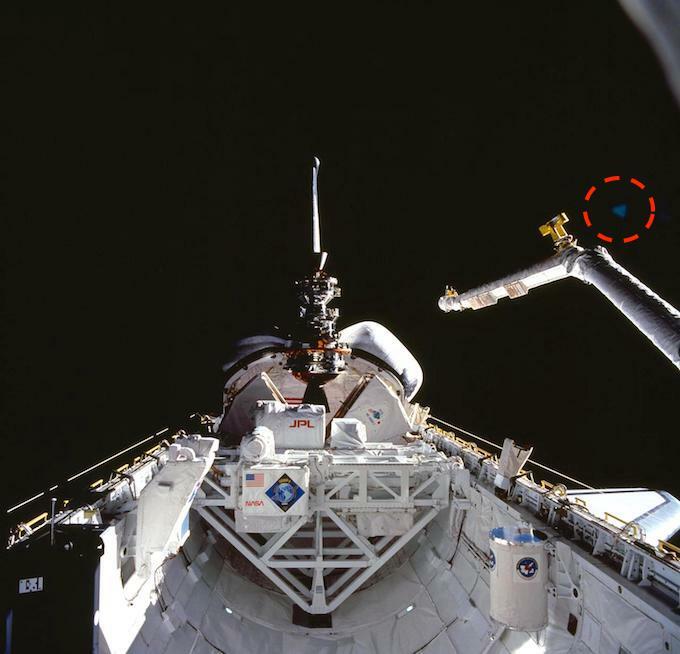 Top Secret Aurora Project Blue Triangle Craft Seen In NASA Shuttle Mission Photo! UFO Sighting News. 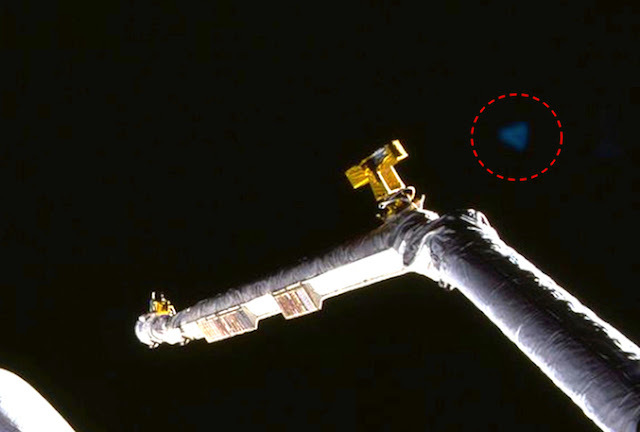 Here is a blue triangle UFO I found in the STS-052 shuttle mission archives. This occurred in Nov 1992. 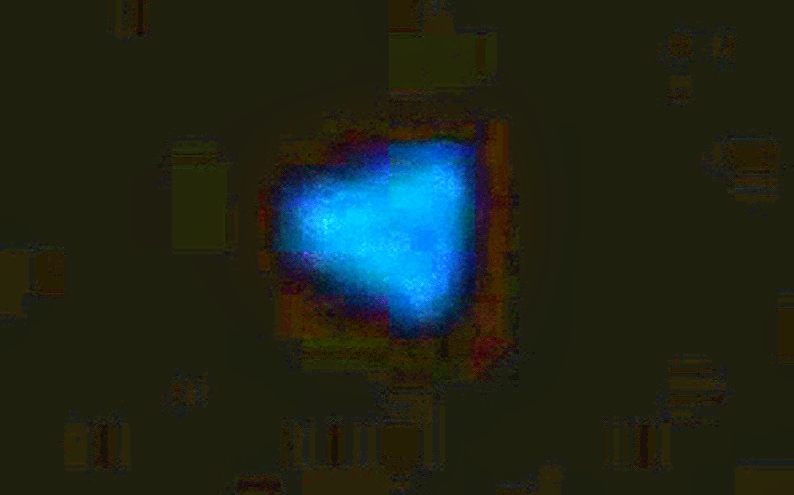 Now this triangle UFO reminds me of the same blue triangle seen over the UK that was a USAF top secret project called The Aurora Project. It looks like even back in 92 this secret craft was up and flying around. The Aurora legend started in March 1990, when Aviation Week & Space Technology magazine broke the news that the term "Aurora" had been inadvertently included in the 1985 U.S. budget, as an allocation of $455 million for "black aircraft production" in FY 1987. According to Aviation Week, Project Aurora referred to a group of exotic aircraft, and not to one particular airframe. Funding of the project allegedly reached $2.3 billion in fiscal 1987, according to a 1986 procurement document obtained by Aviation Week. The blue triangle was repeatedly seen over the UK for several years, always near a USA military base. Project Aurora was a triangular craft that glows blue and was built with an alien tech propulsion system. Yes it works, yes its real, yes it can reach up to one quarter the speed of light.